Can’t make it in town? 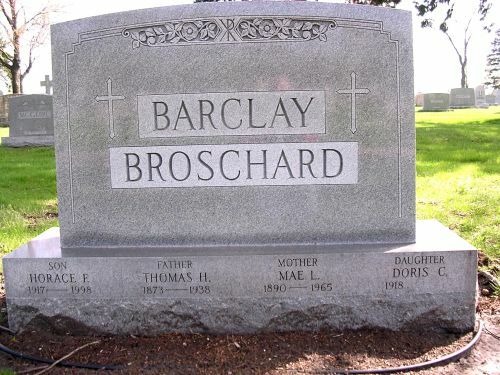 But would love a photo of Grandma’s House or her tombstone? – SSGHS has a unique service to help you!!! Our photographers will take photographs that you request of tombstones located in our area of interest. We can also provide photographs of buildings or other landmarks of interest to you in these areas. South Cook County, IL: Bloom, Bremen, Calumet, Lemont, Orland, Palos, Rich, Thornton, and Worth townships. East Will County, IL: Crete, Frankfort, Green Garden, Homer, Manhattan, Monee, New Lenox, Peotone, Washington, Will, and Wilton townships. Photos will include the outside of the cemetery, an overview of the section where the graves are located and close-ups of the individual markers as well as any surrounding markers that we think might be of interest to you. We will provide any cemetery information that we have at the SSGHS library. The fee for this service will be $15.00/hour with a minimum of $40.00.Because of certain circumstances such as extended driving time or difficulty locating the grave sites, we ask that you submit your request and we will give you a quote of the cost. 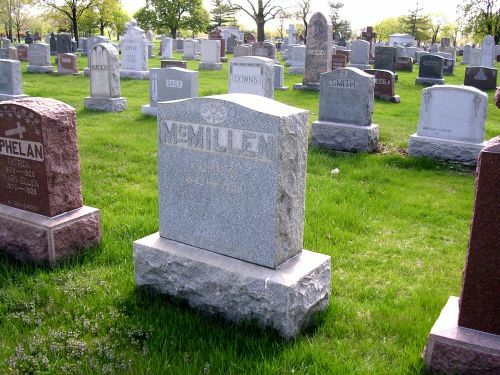 This is especially necessary when there are a large number of grave sites you desire to have photos of and they are located in several different areas of the cemetery. This would increase the cost above our minimum of $40.00. We will then complete the request upon receipt of your check. The more information you can provide, the more efficient we can be which will keep your costs to the minimum. For photos of buildings or other items of interest to you, please include the current address. When possible, you should provide the exact location of the grave sites so that the photographer doesn’t have to spend time searching for them. Also, provide the names and approximate dates if known and when the cemetery office is open if there is one. This service will not be provided in winter. I have received the cemetery photos that you did for me. You (Joe Staackmann) did a great job!!! I was hoping for more information and although some cemeteries are full of new facts for me, others are just NOT. It was not a total bust however, and I am sure when I get all the info it will be a correct and complete picture. I hope to be able to send another request for the Mt. Olivet Cemetery soon. I wanted to thank you for your organizations representation for me in the Chicago area and for the important work you do in providing family history data to people like me. Hello, I have received the cemetery photos that you did for me. You (Joe Staackmann) did a great job!!! I was hoping for more information and although some cemeteries are full of new facts for me, others are just NOT. It was not a total bust however, and I am sure when I get all the info it will be a correct and complete picture. I hope to be able to send another request for the Mt. Olivet Cemetery soon. I wanted to thank you for your organizations representation for me in the Chicago area and for the important work you do in providing family history data to people like me. Have a wonderful summer. Ray: (Ray Bergman) Info received! It is the next best thing to going there myself! You did a marvelous job! Thanks muchly. I do have another request after seeing your pix, I spied a small stone in the tall grass that said WILLIAM DUBREUIL. Wm. & Mattie's family were my father's second cousins and I would like pictures of all of the DuBreuil stones that you can find. I will put a check in the mail for you when I get back from the library today. Thank you very much for the photos! They came out great. I appreciate you taking time to help me with a nice addition to my genealogy. I received the photos back from Ray Bergman this week and he did a fantastic job. I'm quite happy with the extras he did. In addition to many wonderful photos, Ray and his wife gave a wonderfully detailed information paper on all the people and dates found on the headstones and even those people without headstones. He further detailed a map on the location of each of the headstones at the cemetery. I will order another group of photos at Cedar Park Cemetery in Chicago. Thank you again for all the help provided and thank you to Ray Bergman. I received the photos back from Ray Bergman this week and he did a fantastic job. I'm quite happy with the extras he did. In addition to many wonderful photos, Ray and his wife gave a wonderfully detailed information paper on all the people and dates found on the headstones and even those people without headstones. He further detailed a map on the location of each of the headstones at the cemetery. I will order another group of photos at Cedar Park Cemetery in Chicago. Thank you again for all the help provided and thank you to Ray Bergman. Received the photos yesterday. I was very impressed by the details and quantity of pictures, which made it feel as though I had taken the trip myself. 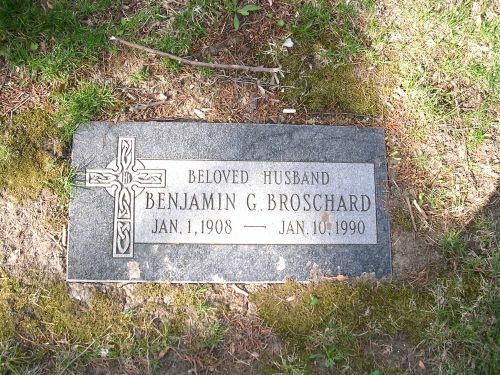 Besides the excitement of finally seeing the family headstone, the dates on the tombstones have helped my research a great deal and brought me that much closer to my family that was scattered during the Depression. Although I did not recognize any names on the other headstones you photographed, it still made the place more real for me. I expect that I may need your services again as I uncover more family history down the road. In fact if you are able to take photos of actual landmarks like houses or churches, I'm almost certain I will need your help again. Received the photos yesterday. I was very impressed by the details and quantity of pictures, which made it feel as though I had taken the trip myself. 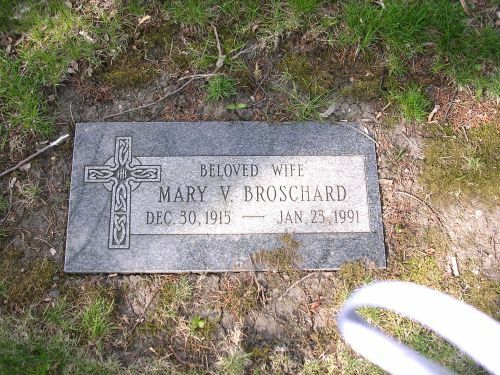 Besides the excitement of finally seeing the family headstone, the dates on the tombstones have helped my research a great deal and brought me that much closer to my family that was scattered during the Depression. Although I did not recognize any names on the other headstones you photographed, it still made the place more real for me. I expect that I may need your services again as I uncover more family history down the road. In fact if you are able to take photos of actual landmarks like houses or churches, I'm almost certain I will need your help again. Thank you again!